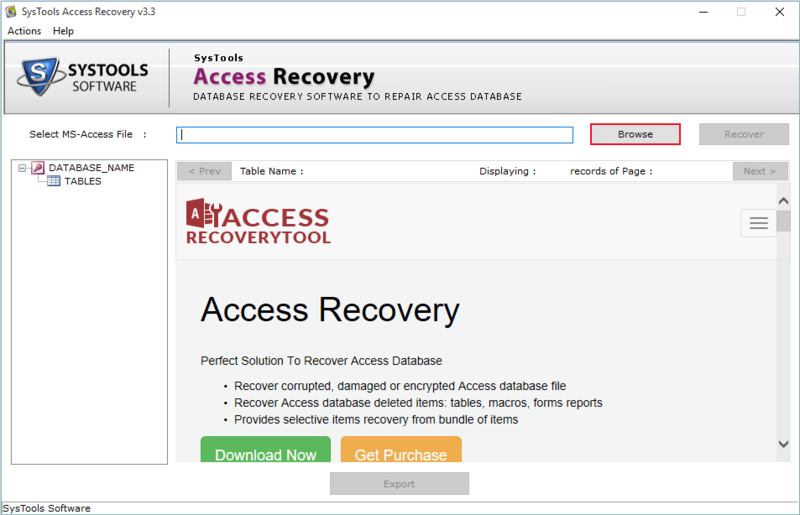 SysTools Access Recovery Software: How it Works! 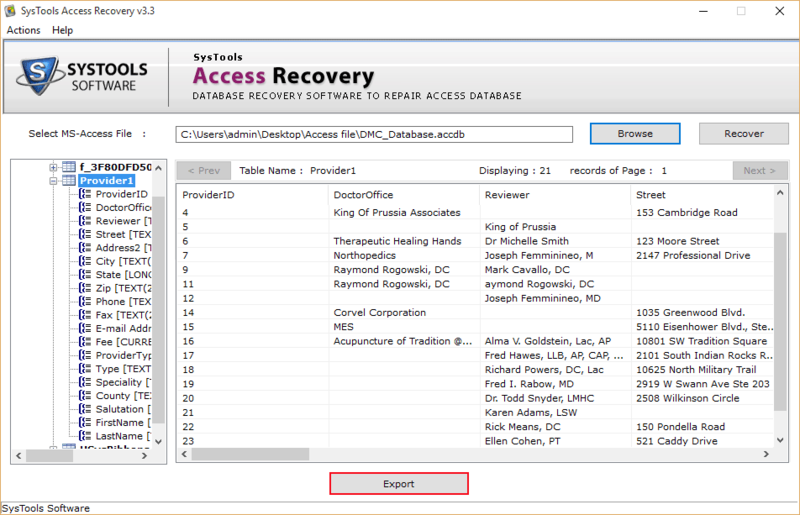 Now repair & recover corrupt MDB (Access) database files with full efficiency. With the support of this Access file recovery software user can repair damaged Microsoft Access database and restore entire objects in it into a new database. 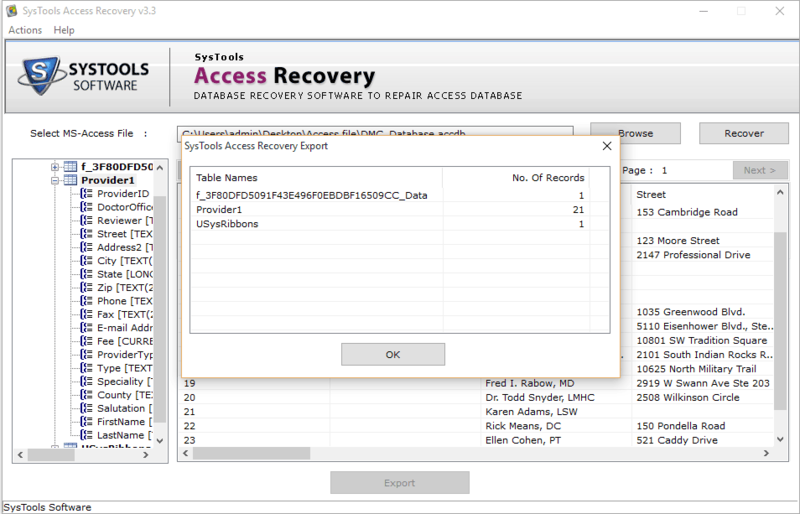 Now click on the Recover button to begin Access database recovery. After clicking on the Recover button Access Recovery software will start the recovery process. Now, click on the Export button and export the files that are displayed on screen. In the final steps, simply click on the Browse button to select a location of your choice on the machine to save all the recovered files. CSV File: By importing CSV file you can easily convert the ACCDB file to XLS sheet. 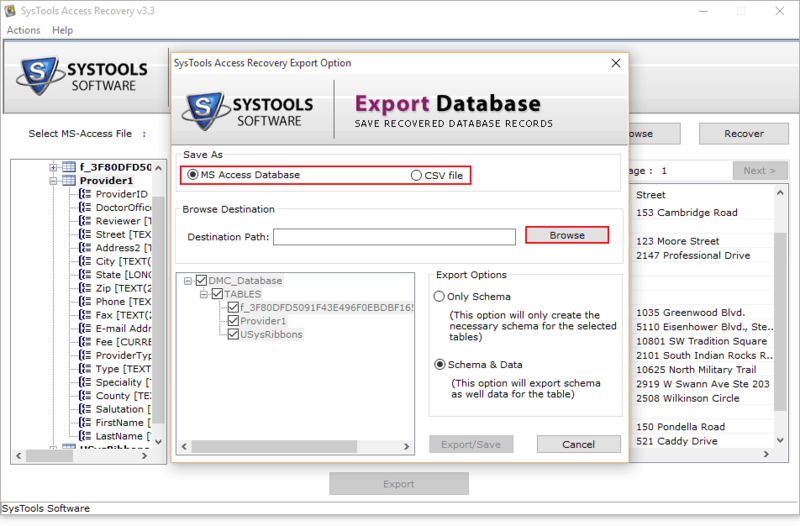 After selecting the particular destination folder you can save the desired MDB file and ACCDB file into that folder. 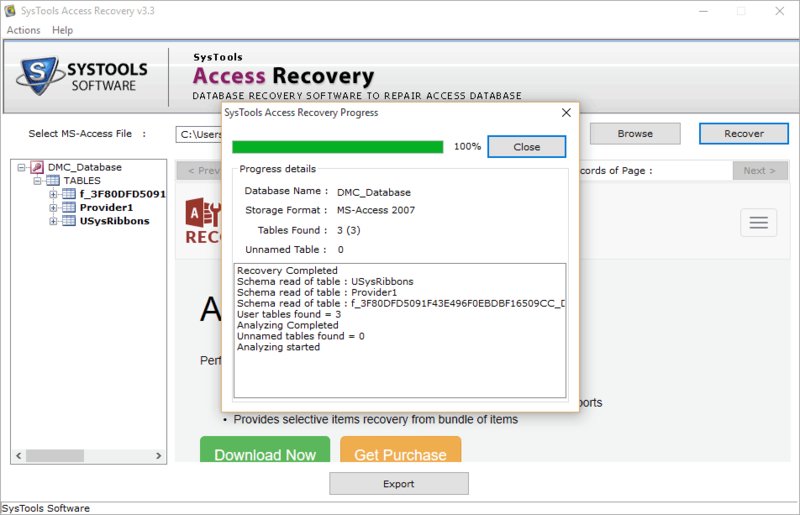 The software gives you two options to store recovered files as. 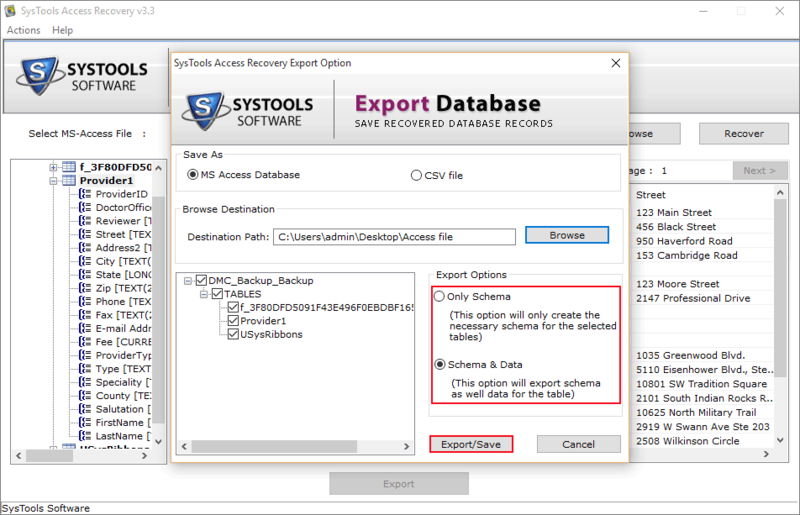 If you are interested to Store just the schema, then click on the first option. The software will show you a number of records after clicking on the Export/Save option. Now close the application.